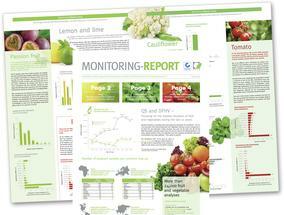 With the Monitoring-Report, we have provided details and overviews on the residue situation in fruit and vegetables since 2010. 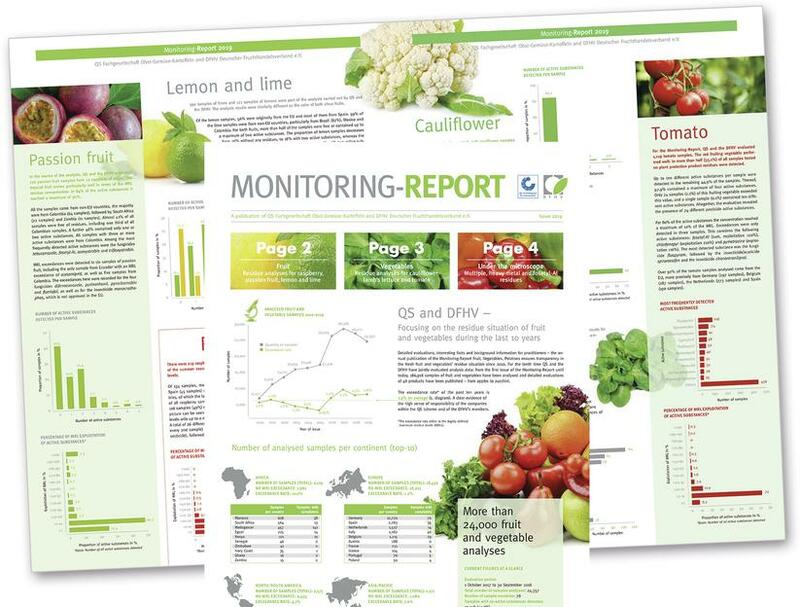 In addition to detailed evaluations, the annual report also contains interesting background information for anyone involved in fruit and vegetables , states DFHV Managing Director Dr. Andreas Brügger. Dr. Hermann-Josef Nienhoff, Managing Director of QS Qualität und Sicherheit GmbH, emphasizes: Every year, the evaluations of our monitoring data prove that the quality assurance systems of the economy are successfully contributing to the fact that the certified producers use the plant protection products carefully and within the legal requirements. A total of 24,357 samples from 78 countries were put to the test for this year's issue. The positive result: 97.4 percent of all samples tested were below the maximum residue levels (MRLs). The complaint rate for products from Germany (0.7 percent) and Europe (1.8 percent) is 0.2 percent below the previous year's level. In total, absolutely no pesticide residues were detected in more than 41 percent of all samples. Nevertheless, there is a need for improvement in some areas: The excess rate for products from non-European countries has risen from 5.9 percent in the previous year to 7.2 percent. For the first time, heavy metal and fosetyl-Al residues as well as the overall situation of multiple residues were considered separately in the current Monitoring-Report. Of the 430 samples tested for cadmium and lead, almost half contained heavy metals. However, there were only eight MRL violations (1.9 percent), including two in spinach for cadmium and three in celeriac for lead. In the MRLs for fosetyl-AL, the pomegranate was ahead with an excess of 11.8 percent, followed by blueberry and sweet cherry, each at 7.1 percent. Apples and peaches did the best - no overruns were found here.